I know the first question is, why is a women reviewing a men's shampoo? Well since it's in my house I've actually ended up using the Axe Deglue Shampoo a few times. My husband originally purchased the Axe Shampoo when my middle son had some serious cradle crud going. The Axe Deglue Shampoo promises to strip out all of the product men may use during the day. Also on my husband's agenda is stripping any paint that may land in his hair during a day of work. Effectiveness The entire premise of the deglue shampoo is to strip out the product used to create a pretty boy look. The shampoo has small beads included in the formula which helps exfoliate the scalp and hair to really scrub out the goo. I have used the shampoo a few times especially when I hair had an extra build up of oil in my hair. The does certainly strip hair of what ever may be on it, including the essential oils it needs to be healthy. Hair will definitely be dry after using the Axe Deglue so a moisturizer needs to be used afterward. Scent The DeGlue shampoo is a manly shampoo, meaning it is made with the musk-y scent for men instead of a fruity or flowery you normally get in a shampoo. Having said that, the scent is strong and lasts for quite a while. Occasionally the boys will want to use this shampoo to "smell like daddy" and I can smell it long after they have been washed. Shampoos are a necessary part of the daily routine and most men do just fine with the standard, nothing- special- added type of shampoo that cleans and does nothing else. But sometimes, a little extra something is needed to get hair looking its best and one possible option is Axe De- Glue Shampoo. 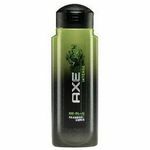 Shampoo Facts and Commentary: Axe De- Glue Shampoo is a rough and tumble type of shampoo product made to get the hair and scalp super- clean. It has a masculine scent, as expected for an Axe product, and is so- named because of the small scrubbing beads/crystals in the shampoo. It is made to eliminate the excess buildup of oils, dirt, and particles that may invade the hair following a day in the great outdoors, a game of football, or something similar. Axe De- Glue Shampoo is a very good shampoo to use when you really need some extreme cleaning. I don't usually have this need unless I have been doing yard work or some other task that really causes me to work up a sweat and/or get other things in my hair. This shampoo has scrubbing action and it helps to eliminate these things and get the hair back to its old self. Axe De- Glue Shampoo is great for deep cleaning, but it is not a day to day type of shampoo and the reason is because of the harshness. It can make more sensitive scalps a little raw over time and it can lead to dryness. I would reach for something like this only if I felt I really needed it. Otherwise, it is best used sparingly. Bottom Line Viewpoint: Axe De- Glue Shampoo is a good product for those times when you need a really good scrubbing of the hair, but it is not a daily use type of product because it can hurt the hair and scalp. Still, it has its usefulness and it is recommended for those occasions when the hair really needs some deep cleaning. 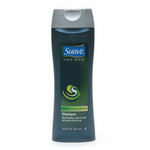 Effectiveness This Axe product is good at deep cleaning and scrubbing the scalp and hair clean. Scent The scent is masculine and nice, like most all Axe products. I used to be one of those people that hated Axe. I used to see the commercials about the guy getting lucky around the ladies and think, wow that stuff is for the guys who desperately need some attention. In the past, I would buy a generic kind of shampoo, until I started to realize that the styling paste that I put in my hair everyday was not coming out! So I did some some research to find a good shampoo that I could scrub into my scalp and get all the oils, dirt, and products out of hair. Of course, wanting to smell good around my girlfriend, I decided I would try Axe and I think I can say that I am glad I did. Axe Deglue Shampoo smells really good, and even better, it has small crystals in it that you can rub into your scalp and get all the goop out of your hair and, trust me, it does not hurt. I am glad that I turned to Axe, the product smells amazing, my girlfriend loves it, and I wake up in the morning with a clean head of hair that does not feel like I have stuck it into a fast food fryer. 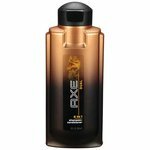 I have used many axe products over the last several years and have been quite happy with most of them. I had gone for a hiking trip, which was an all day trip. It was pretty exhausting and the bright sun wasn't helping either. Least to say that by the end of the trip my hair had a grim layer of sweat and dirt along with maybe a we insect squeezed in, ok the last bit was exaggeration but you get the point. My fiance was flying in the day after and i had to look as presentable as i could, having a head full of grime and dirt wasn't really helping my cause. I have been using the regular mild shampoo all the while and i knew this wouldn't make t he cut. I headed to the closest store and headed for the shampoo aisle with high hopes. I was happy to see the magic words "deglue". The product all of a sudden looked like my savior, and since i had used the Axe range before i kind of knew they would work. And i was not wrong, this thing works wonders, its real heavy duty and you would need to really scrub your hair, but you can feel it work, the wash took me more time than usual, but in the end i knew i had conquered the inevitable, my fiance had nothing to complain, well as far as my hair was concerned that is. OK - I know Axe brand products are for guys, but I am writing the review because I used this product. The reason I used it is because my husband did not like it and was going to throw away half of a bottle of shampoo. I couldn't stand to have it wasted, so I used it. My husband and I agree on some things about the shampoo, and I have additional opinions. We both thought it was weird to have scrub beads in a shampoo, and that it didn't get products out of hair any better than normal shampoo. He wears gel or hair glue and felt like the scrub was overkill. We both found it difficult to rinse all of the scrubby things out of our hair, especially when you have very long hair like I do. So guys with long hair - don't use this. I thought the scent was nice - for a guy. I would use extra conditioner when I washed with this shampoo so I wouldn't smell manly, but on my husband it was pleasing. 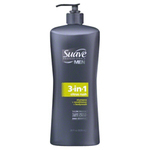 This would probably be great for a guy with really short hair who uses lots of product.